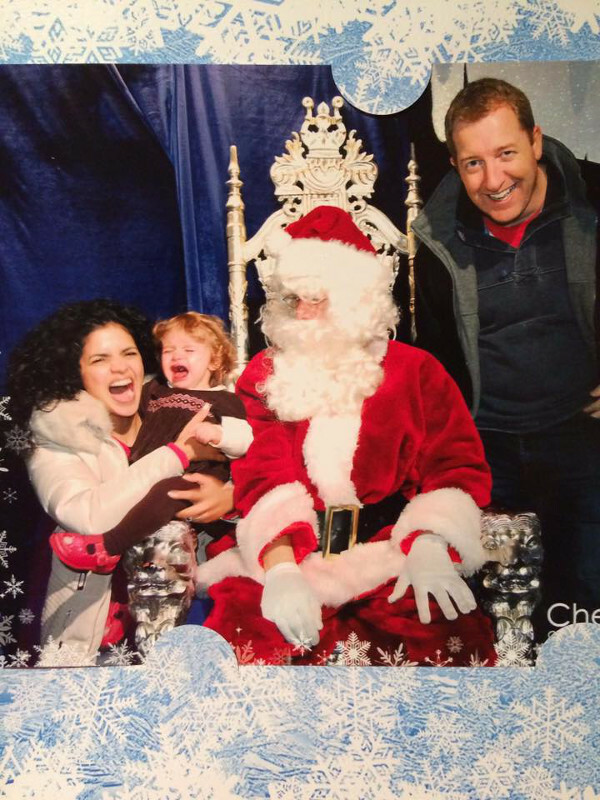 Santa Claus may be in town but that doesn’t mean our little ones share our vision for the perfect Christmas card photo. It turns out quite a few Babyology parents can relate. 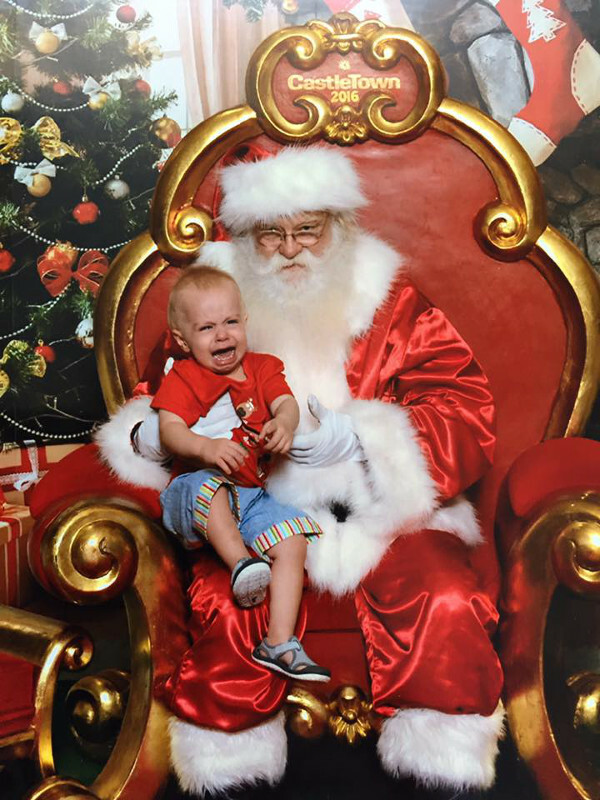 Babyology spoke to US photographer Jeff Roffman who manages to capture the funny side of otherwise disastrous Santa snaps. 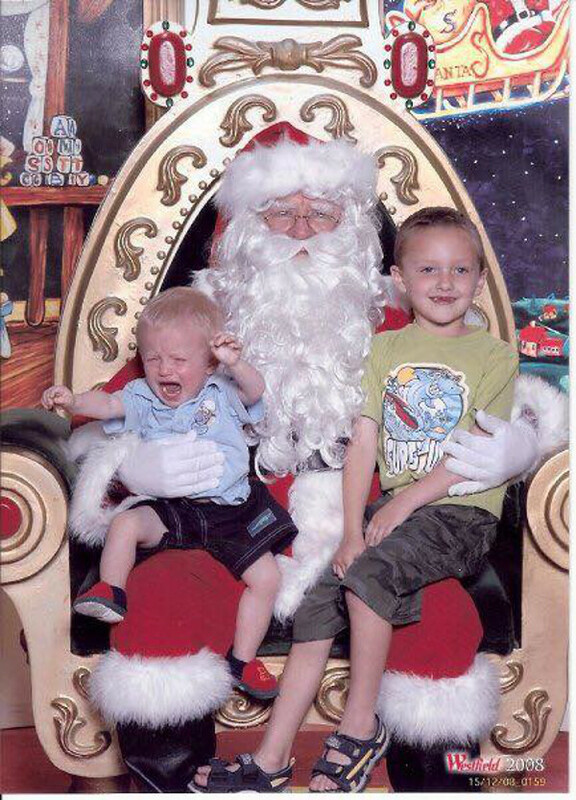 After seeing his work, many parents came forward to share their own disastrous encounters between their child and the jolly man in red. It’s amazing how a split second moment captured on camera can capture such terror from a moment meant to be exciting for little ones. 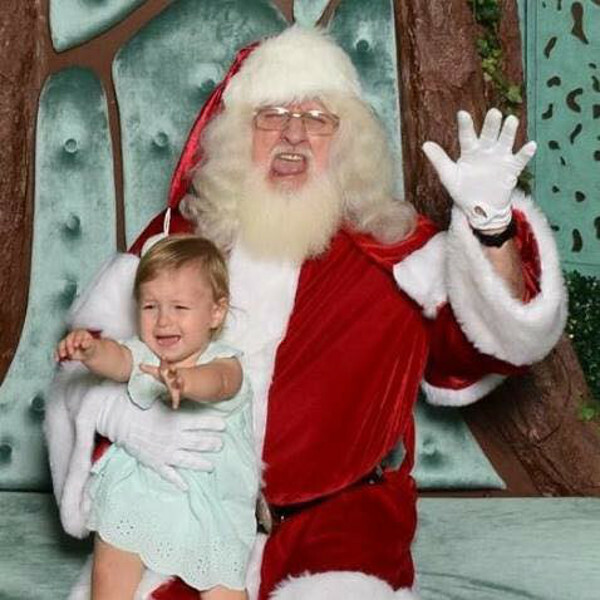 No parent wants to frighten their child, after all it’s Santa! The bringer of toys and a jolly, kind, old man who has magic reindeer that can fly – and it’s not like we are dropping them off for the day. But when you break it down to their level, we guess we can understand why sitting on a stranger’s knee and posing for a photo could be slightly terrifying. Still we persist, imagining the perfect snap to share with friends on Facebook, to take pride of place on the mantle and feature on the front of our Christmas card. But when it all unravels faster than you can say cheese, the end result can still become a treasured keepsake. Here are just some of the photos you shared that made us laugh harder than the jolly man himself. 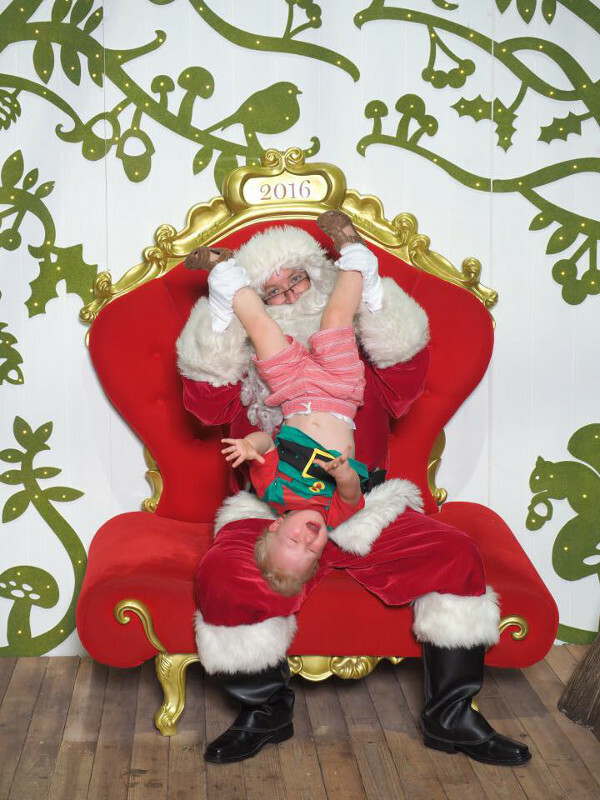 “This is my two-year-old son Archie this year. We travelled two hours to get this photo. We think it’s hilarious!” – Laura Ellis-Harry. “My nine-month-old could have sat there all day, but my two-and-a-half-year-old couldn’t get away quick enough.” – Stan Kelly Fousias. 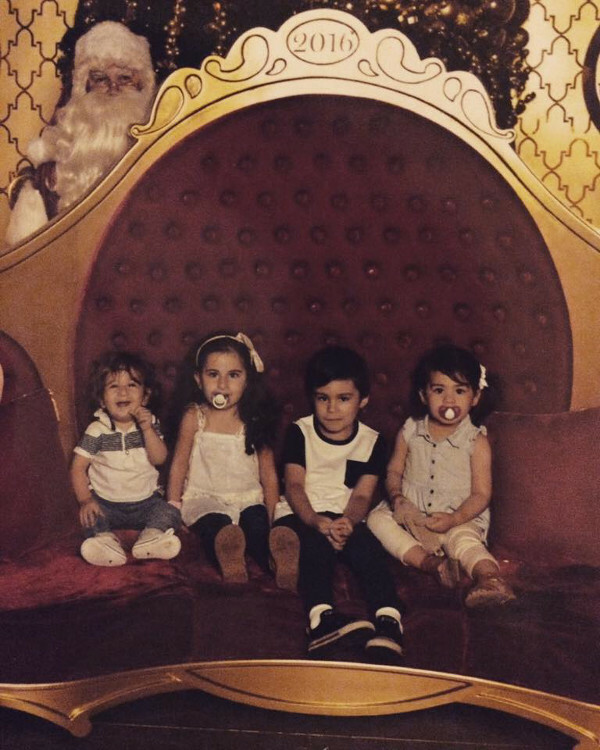 “Our Santa had to hide.’ – Andreaa Godoy. “Love this one of my youngest. I (and everyone who was there) laughed so much!” – Holly Flood. “At least the following year had no screaming or tears.” – Heather Carrington. “Oh, the trauma/drama! But I finally got to see how many teeth he has, lol.” – Elise Cowen. 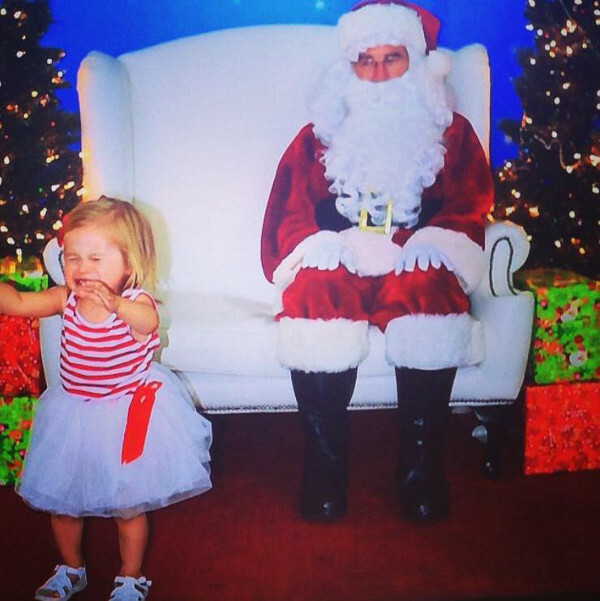 “This was ours last year – best Santa ever.” – Rachel Mary Vecchio-Ruggeri. “Good times…” – Davina Moon. 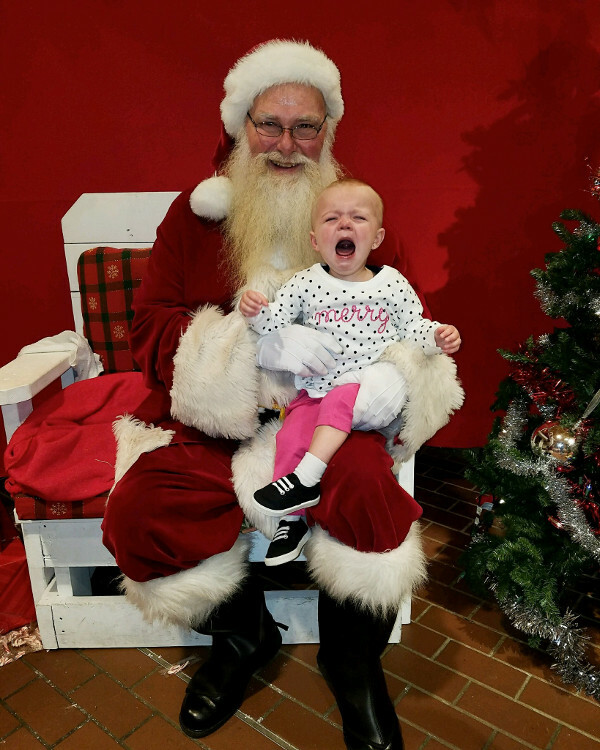 “16 months, Julianna….not so thrilled with Santa.” – Megan Sakowski. 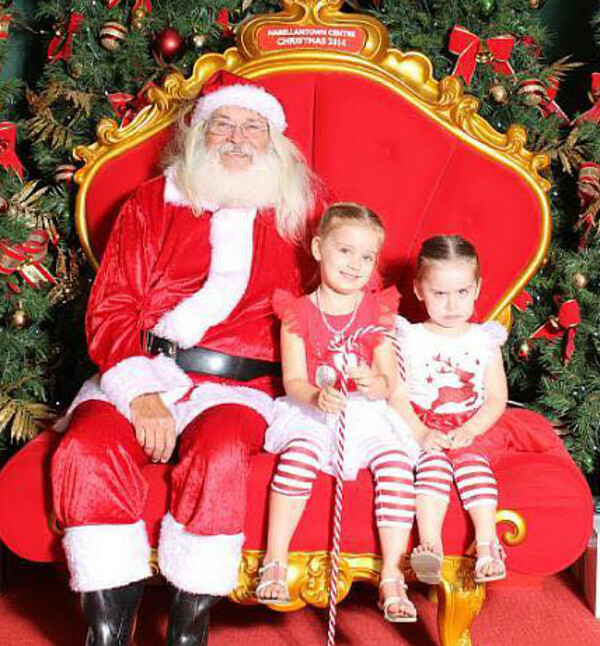 “My daughter loooves Santa now. Two years ago? 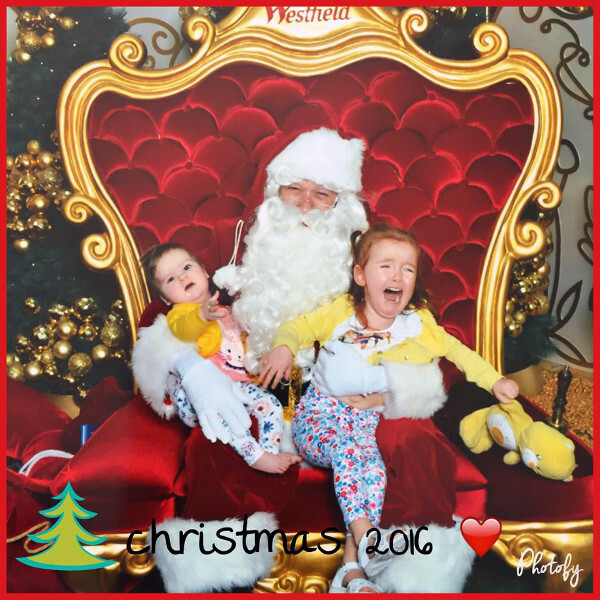 Not so much…” – Karlie Aitken.